the weather has been hot hot hot lately here in boston. temperatures keep rising, the humidity is intense, and i'm looking for any and all ways to cool off. thankfully, i have weekends back for the first time in two years, so i've been heading to the water to keep myself cool on saturdays and sundays. but the rest of the week? i'm letting myself indulge in a few sweet treats, including my new favorite, my/mo mochi. i've loved mochi for a long time. i've grown up with mochi, and my nieces always love topping their froyo treats with mochi. basically, mochi is life. but up until now, i've always had to go to asian grocery stores in order to buy it. it worked out, but it wasn't ideal. but now i can buy my favorite sweet treat in local grocery stores. so what's so great about my/mo mochi? it's hard to describe. i love the soft dough on the outside. it's traditional sweet rice dough that feels a little squishy but is also great for keeping the ice cream inside cold without melting in your fingers. it's the perfect handheld snack to pass around at a party. and the ice cream inside? 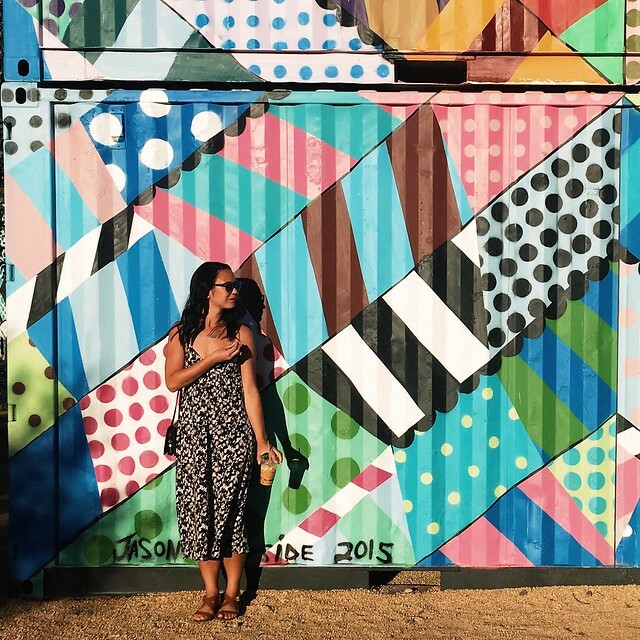 perfectly smooth and exactly the kind of ice cream you're looking for on a hot day. 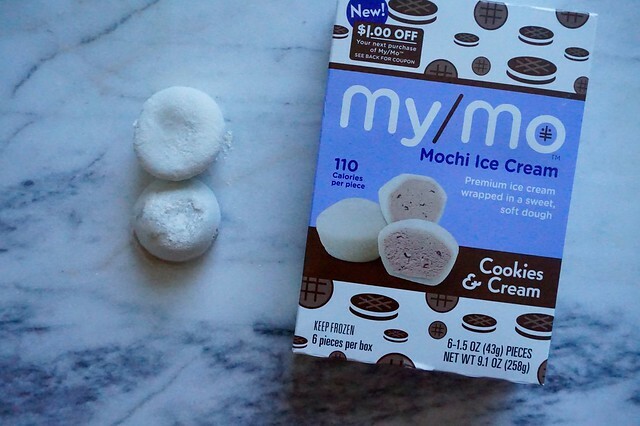 while i love all flavors of mochi, my absolute favorite is the cookies & cream my/mo mochi. it tastes just like my favorite ice cream, but is in a perfect size for a quick snack. plus at 110 calories per piece, i don't feel any guilt when i eat it! it satisfies my sweet tooth just right. 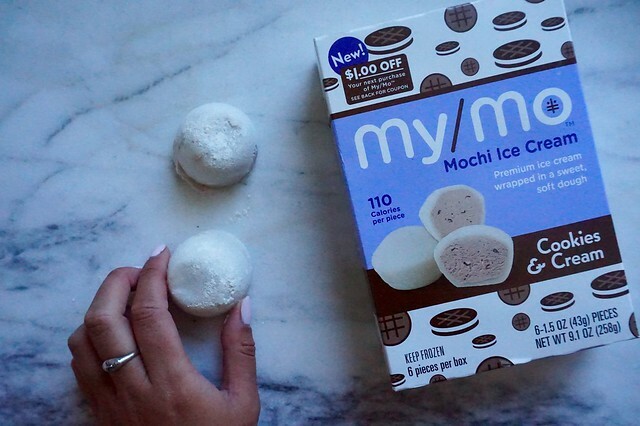 have you tried mochi yet? 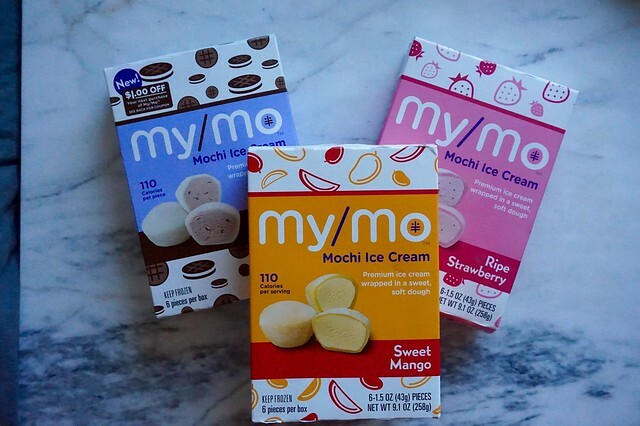 make sure you check the my/mo mochi website to see where you can find some close to you!